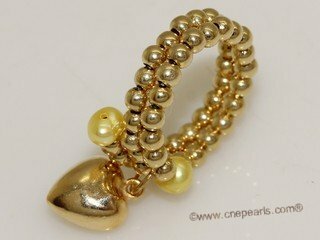 The 4-5mm Yellow Potato Pearl ring gets an update with color in this beautiful ring: each end of the ring have a 4-5mm Yellow Potato Pearl. 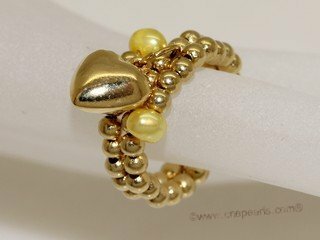 The graceful ring are hand wrap with 925 sterling silver. it is the perfect gift for girls.